President Christoph Heider of ECCK (European Chamber of Commerce in Korea) will host a press meeting with the local Korean journalists at its office in downtown Seoul on Jan. 30 (Tuesday), 2018, ECCK announced recently. The result of the ECCK's survey on business environment in South Korea for EU enterprises will be announced at the press gathering to be held on the third floor of the Seoul Square Building just across the Seoul Stations in the morning of the day. The event will kick off at 10: 30 a.m. followed by the welcoming speech by ECCK President Heider. The presentation about the survey result will be made by Roland Berger's Seoul Office Representative Lee Soo-Sung before the questions and answers session follows. The survey results will contain the current sutuations of operation and management of EU companies, their business prospects and difficulties, impacts of new local government's policies, the local Korean laws and regulations, and the basic power of Korean economy. A number of heads and leaders of the foreign business associations and other related organizations in the nation are expected to join the event. They include KGCCI, BCCK, FKCCI, ITCCK, BKBF, DBCK, ESCCK, NBA, FINNCHAM, SCCK, and SKBC. Who Is Mr. Christoph Heider? 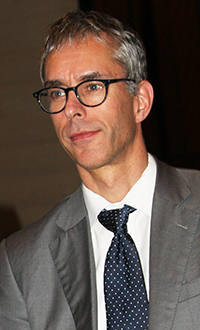 Mr. Christoph Heider has been serving as president of ECCK (European Chamber of Commerce in Korea) since June 1, 2013. Mr. Heider was appointed as the ECCK president by its board of directors on May 2013. He replaced Mr. Wolfgang Slawinski. Since his inauguration as ECCK's administrative chief Mr. Heider has been very active in his functions at the office and also in his relations with both local and international business leaders. Prior to his involvement in ECCK Mr. Heider built his career with "Bayer AG," a German pharmaceutical company. Since he joined the multi-national company in 1997 he held various positions including chief financial officer at Bayer Korea, head of accounting & reporting at Bayer Japan, and regional manger for legal entity accounting at Bayer AG in Germany. He specialized in corporate finance and accounting. A German citizen, Mr. Hiedier earned his master's degree in Business Economics from the University of Mannheim in Germany. He has been living with his wife and a daughter in Seoul since 2010. Established as an association of European businesses operating in South Korea, the ECCK represents the collective voices in the areas of EU-Korea FTA implementation and regulations of foreign investment and general business issues.